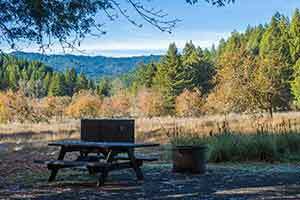 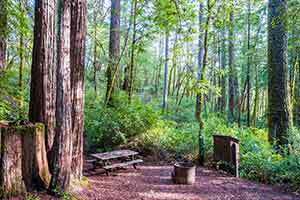 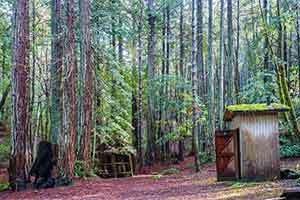 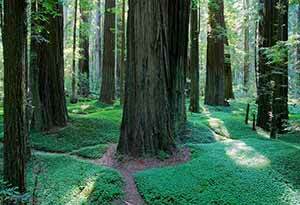 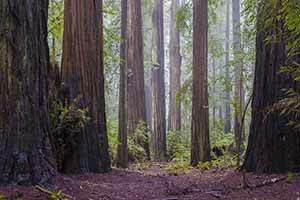 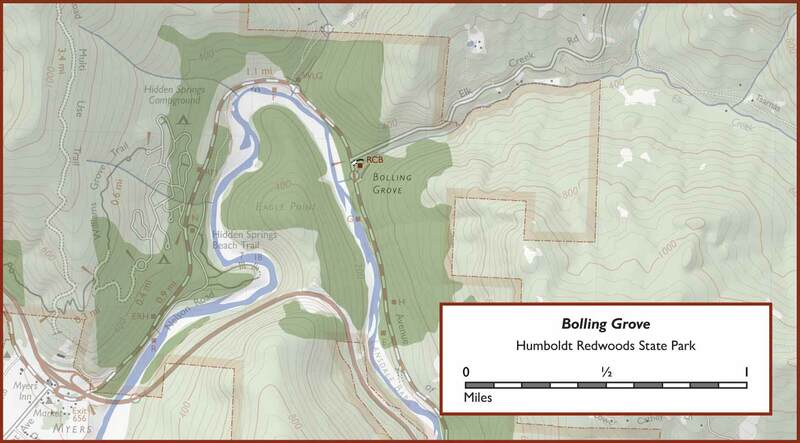 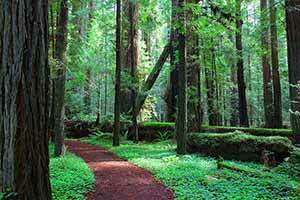 Bolling Grove is a small, easy-to-explore patch of big-tree lowlands on the Avenue of the Giants. 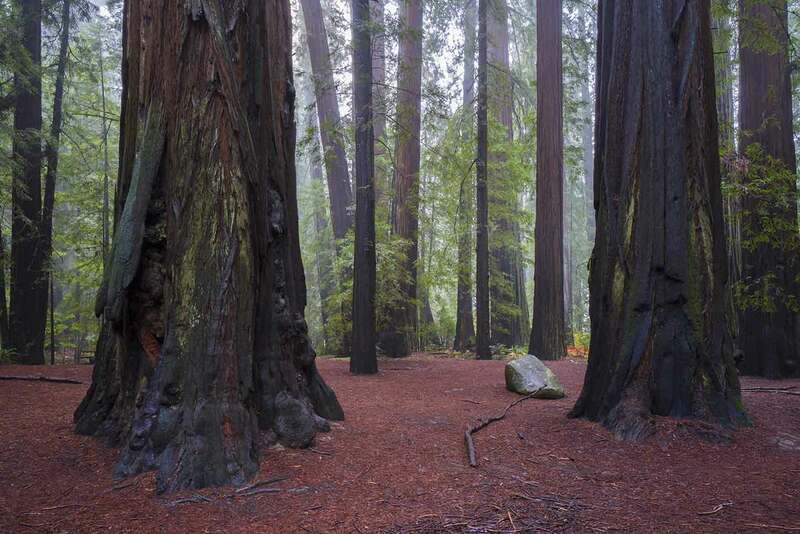 The grove doesn’t have any trails, but it’s one of the more popular stops on the Avenue, because the big trees are clearly visible from the road and there’s a handy pullout right in front of them. 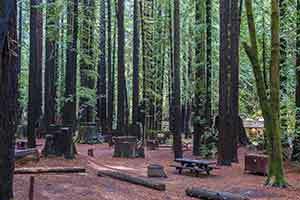 On weekends and holidays there are almost always a few people wandering around and taking pictures. 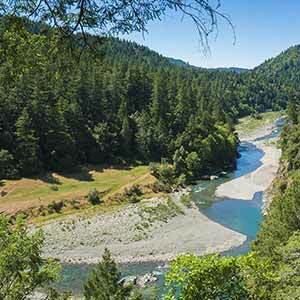 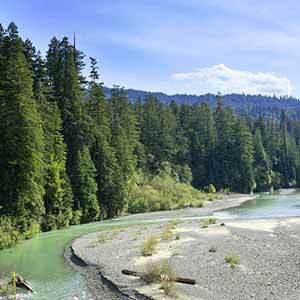 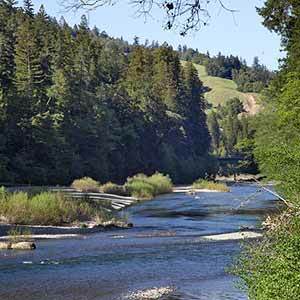 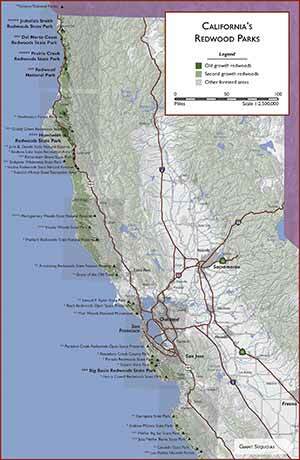 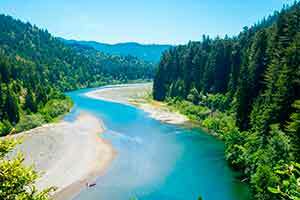 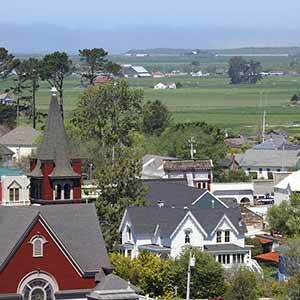 The grove is on an alluvial flat at the confluence of Elk Creek and the Eel River. 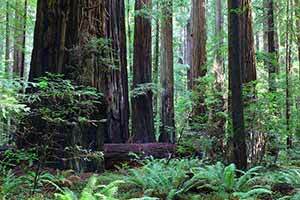 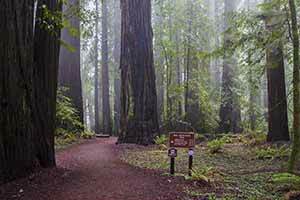 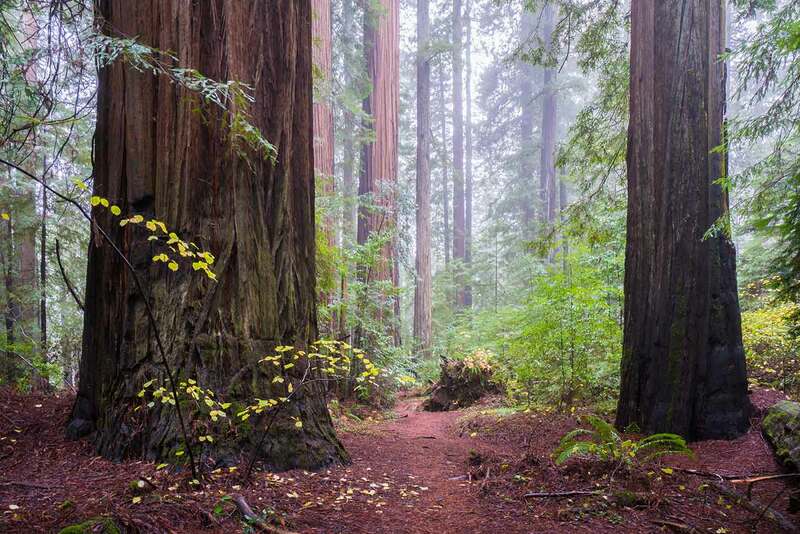 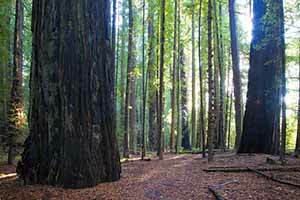 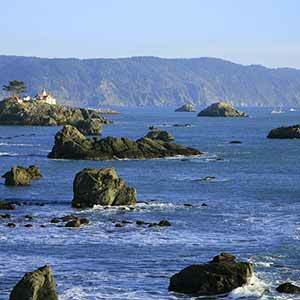 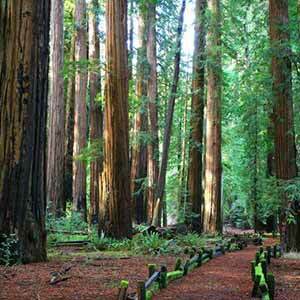 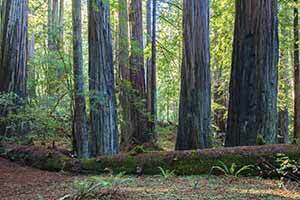 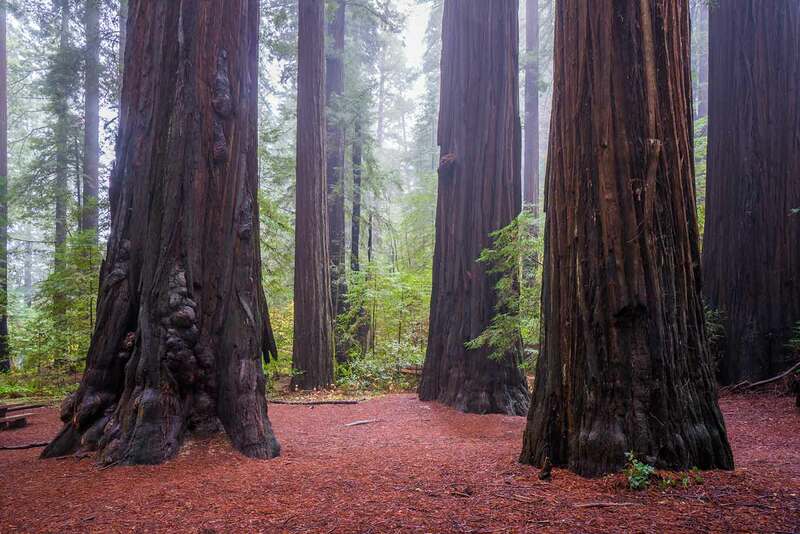 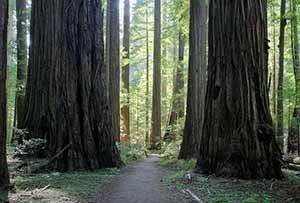 Although it’s only about 50 yards across, it features some truly impressive mammoth redwoods. 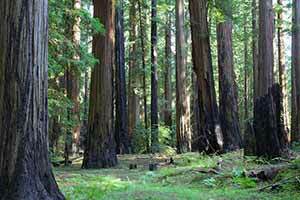 The biggest trees surround a clear area next to the pullout, making a great first impression as you step out of your car. 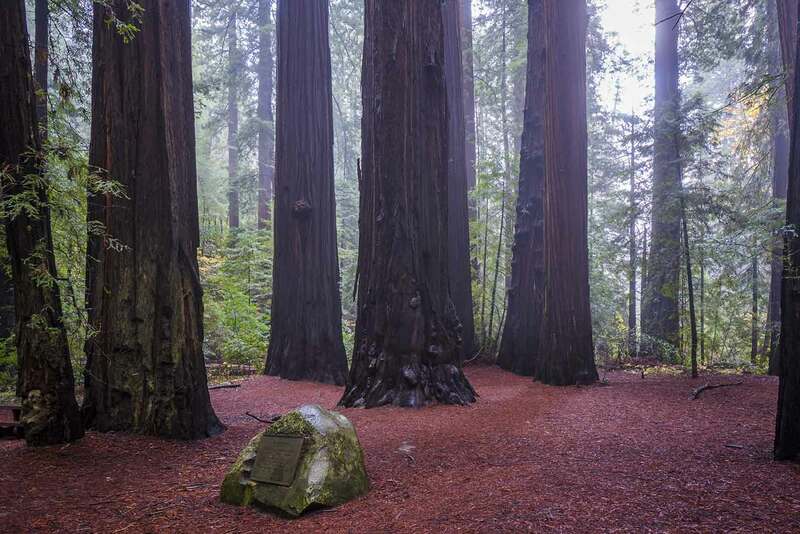 The groundcover plants have been completely worn away by the foot traffic, leaving a covering of redwood needles that makes it easy to wander among the huge trees. 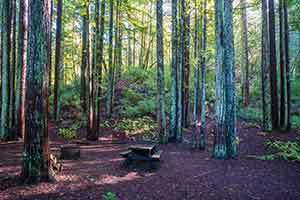 Unofficial paths lead a few yards outside this area to the banks of the creek, which flows through a depressed channel carved into the soft soil. 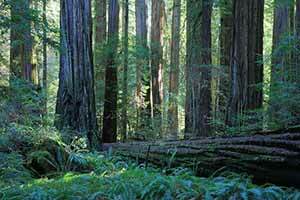 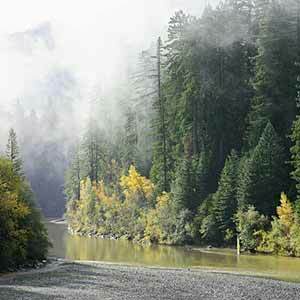 Outside the main cluster of redwoods and on the other side of the creek, the trees quickly become much smaller.